As a UNT student, you’ve got a lot on your plate. But you’ve also got lots of resources and plenty of people at UNT who want you to succeed. Start your college career off strong, define your future and take control of your success. Being engaged during class and taking advantage of your professor's office hours can make a big difference. Don't be afraid to ask for help. Whether you need tutoring, financial guidance or just someone to talk to, we're here for you. Advisors are here to make your life easier by making sure you take the right classes in the right order so you can achieve your dreams. Conquer your new workload by learning time management and organizational skills you need to be ready for every test and presentation. 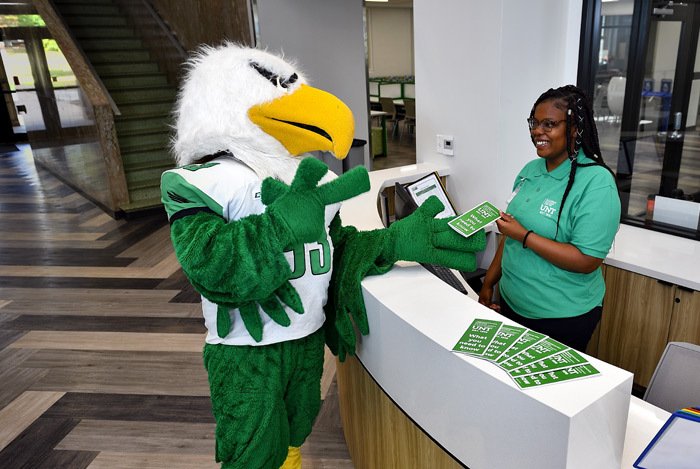 From student organizations to campus events, there are hundreds of ways for you to make lifelong memories at UNT. Always remember the dream you're working toward. Every assignment and test gets you one step closer to your career. Hear from current UNT students about how the Keys to Succeed have improved their college experiences.